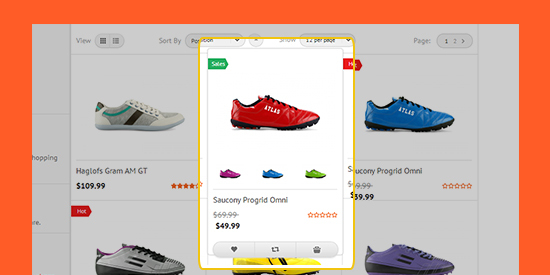 ColorSwatch is an advanced Magento extension to visualize product attributes including colors, sizes, prices and quantity over each item. This will help shoppers to imagine an item in the selected color much better while considering specific info about the actual product only. ColorSwatch is a great pick for stores whose items come in various colors, prices, sizes and quantity for each items. It will be least confusing for the shoppers to choose an item in the certain color, size and price. 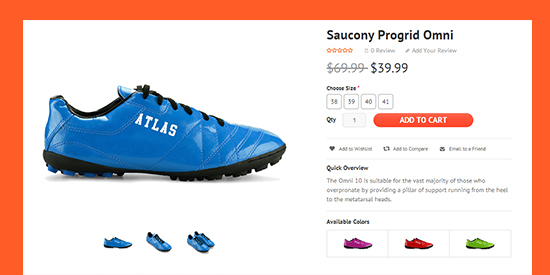 Shoppers can switch through color choices of any item to see how it looks like. The size, price and quantity for the selected color of the actual item will be updated accordingly. 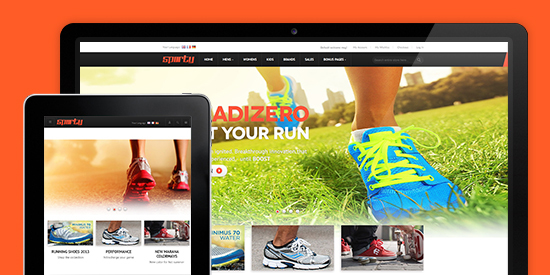 For now, ColorSwatch is available for our responsive Magento theme Sporty only. If your products have plentiful colors, sizes and prices, Sporty featuring Color Swatch definitely is a great pick! ColorSwatch is packed in the following Magento themes. 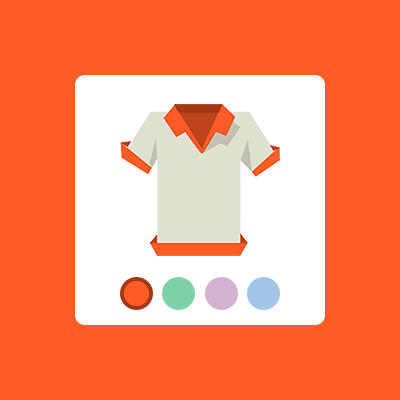 FREE signup to access premium Magento themes with ColorSwatch packed-in.